2017 is quickly coming to an end. 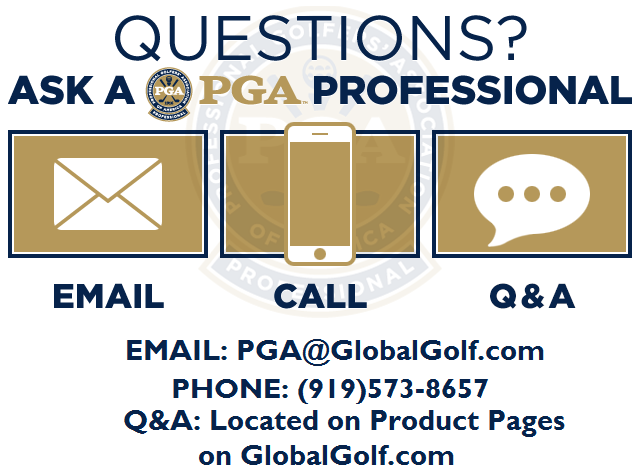 Throughout the year, our PGA Professionals have given you some great tips to help you play better golf. Here is a list of our top ten tips of 2017. Enjoy a look back them and be sure to check out the tips from the rest of the year. Having the right footwear is important to your success on the golf course. This tip helps you decide between spiked and spikeless shoes, giving you the pros and cons of each. Hitting your irons better leads to hitting more greens and lower scores. This tip shares the steps you should take to striking shots in the sweet spot more often. For days when you and your playing partners don’t want to play your usual match play, check out this tip. It has some fun, alternative formats you can use to change things up during your next round. Marking your golf ball makes it stand out from others so you know it’s yours. This tip shows you some traditional and non-traditional ways you can make your golf ball stand out. Getting up and down around the green requires various types of shots. Learn how to master these 3 most common wedge shots and watch your scores drop. Golf is a physical sport that requires a certain amount of athleticism to have success. Core strength and flexibility are arguably the most important fitness aspects to have. This tip focuses on exercises you can do to strengthen this part of your game. 7. Hybrid vs Iron: Which Is Best For You? Some golf clubs are designed differently but perform the same as their counterparts. The most common are hybrids and long irons. How do you choose which one is best for you? Learn more about it in this tip. Summer months are the peak season for golf. Playing in the middle of the summer has its challenges, including hot temperatures. Learn how to conquer soaring temperatures and play your best in this tip. There are many golf bags you can choose from. Next time you’re in the market for a new bag, consider the 5 things from this tip. You’ll be glad you did. We all make mistakes on the golf course, which prompt us into taking a mulligan. This tip teaches you the best times to take one and why you should or shouldn’t take a do-over. We hope you enjoyed these top ten tips of 2017. Stay tuned for more tips from our PGA Professionals in 2018.